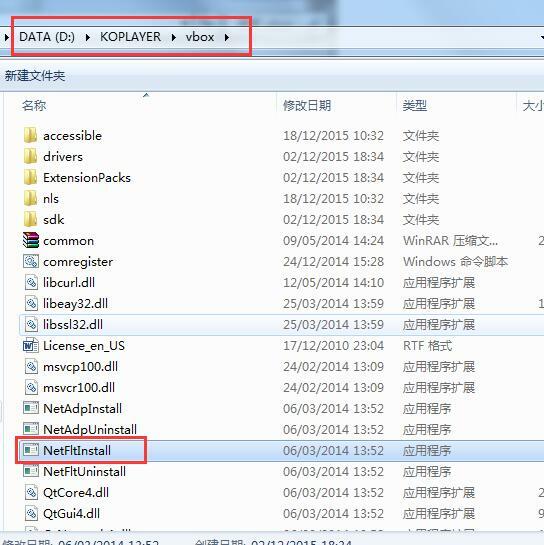 Solution for KOPLAYER Emulator when networking fails - Vbox folder that mentioned files, I can do is? This solution is used when the emulator can't connect Internet. 1. 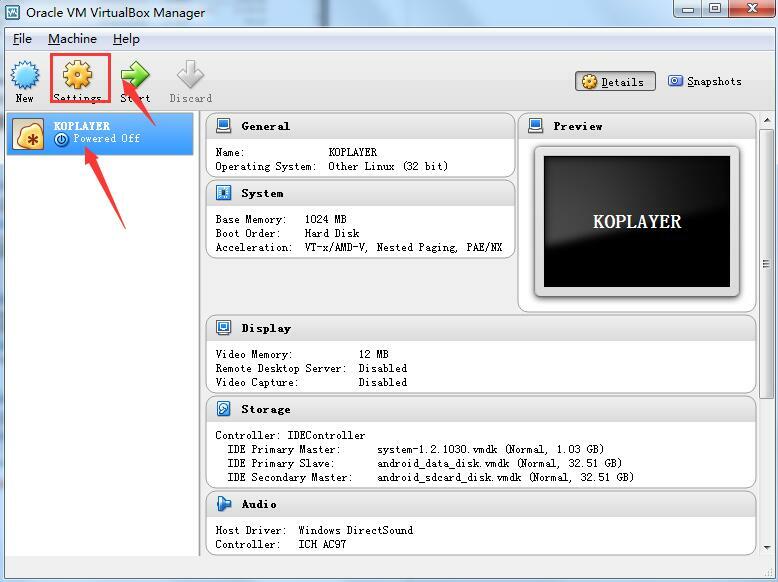 Open the installation directory (default is D:\koplayer\) and find a file named “vbox”. Run netfitinstall.exe which is in the file. 2. It will brings up a cmd window which is installing a virtual network card. 3. 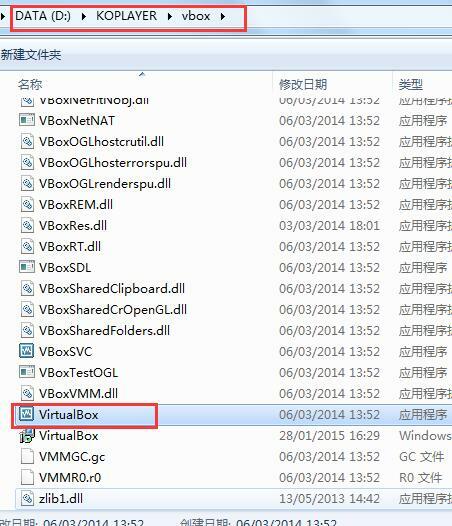 Then find virtualbox.exe which also in vbox file and run it. 4. Select KOPLAYER and Setting. 5. 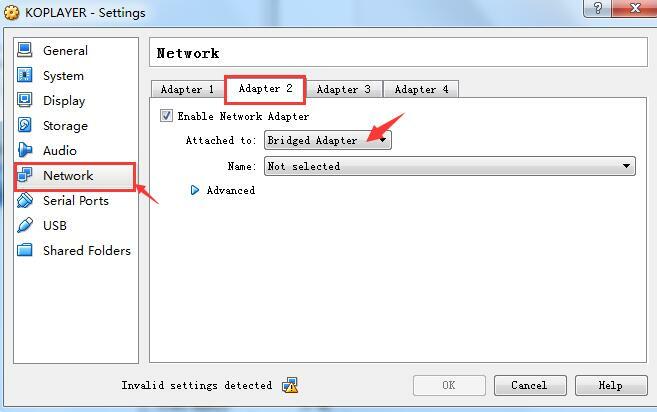 In following window, choose Network- Adapter 2- Attached to, and change the connection to bridged adapter and save. 6. It will take effect after restarting KOPLAYER. krsbeln23 Saturday, August 13, 2016 12:42:13 PM(UTC) | Hi! I can't find "netfitinstall.exe". Also, unable to save setting when I change NAT to bridge connection since the "ok" button is grayed out. iSheep Tuesday, August 30, 2016 4:21:55 PM(UTC) | Vbox folder that mentioned files, I can do is? 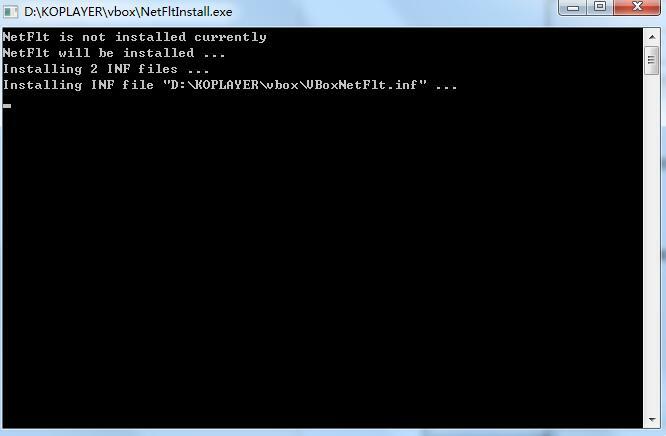 netfitinstall.exe is not in the VBox folder. Where can I find it? Hi which problem do you meet? Could you pls describe it in detail? Do you meet the problem error code -12? Could you pls upload an image about the error detail? VBoxManage.exe: error: VT-x is being used by another hypervisor. (VERR_VMX_IN_VMX_ROOT_MODE). Hi could you pls give me your email? You can pm it to me. Do you have this tutorial for mac? I have replied to you in the other post. Please kindly try to check and resolve connection issue. We are looking forward to your feedback. Dear friend, may i ask did you encounter issue of network? Could you tell us details about your problem that we can help you better? And may i ask the version of your KOPLAYER? How to install bridged driver? I cant select my adapter.